Serve your guests gourmet coffee, tea, or hot chocolate on this CAC RSV-2 super white Roosevelt 6" porcelain saucer. Its silky texture is complemented by a sculpted wide rim, reminiscent of light brush strokes. 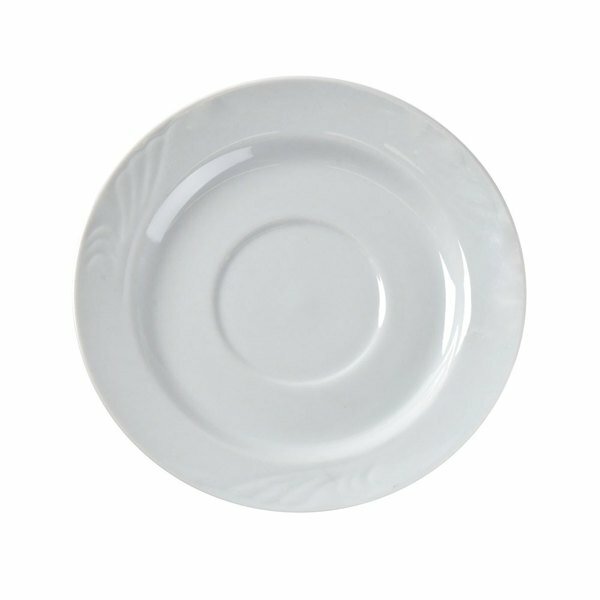 This 6" saucer is ideal for use in your elegant hotel, restaurant, or catered event.